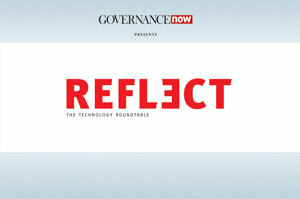 Governance Now has launched REFLECT: The Technology RoundTable. Every fortnight, we invite a group of e-governance experts, practitioners and service providers to jam on the theme issue of our GovNext section. This, we hope, will enrich the contents by adding a wider perspective to the issue on hand. 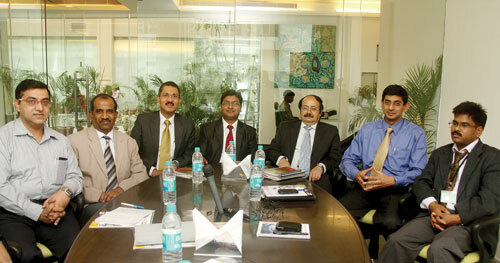 The first REFLECT roundtable was orgainsed at our office on March 23 around the topic: Cloud Computing for Public Sector. At the high table were S Ramasamy, executive director (information systems), Indian Oil Corporation; Golok Kumar Simli, principal consultant and head–technology, passport seva project, ministry of external affairs; Niraj Prakash, director–public sector marketing, Microsoft (India); Kamlakar Kaul, executive director (IT), TCIL; Gautam Kapoor, senior manager, Deloitte Touche Tohmatsu India; Vikas Kanungo, founder, Society for Promotion of e-Governance (SPeG); and Rajiv Ranjan Singh, assistant professor, Delhi University. The roundtable was moderated by Samir Sachdeva, senior editor, Governance Now. The inaugural REFLECT was sponsored by Microsoft. Cloud is a phenomenon that is sweeping the computing world. Though enterprises, public and private, are taking to it in hordes globally, the response of India`s public sector to cloud has been rather muted thus far. As the experts noted, concerns over privacy of data, lack of a public sector policy on cloud, resistance to change and general inertia have thus far stymied Cloud in India, especially the public sector. But, as you will read below, they all concurred that Cloud is an idea whose time has come and it will not be long before the public sector will embrace it for all its many advantages, the most obvious of them being lower costs, seamless sharing of data and interoperability.